If you are switching for an Android phone to an iPhone, or you have a friend with an iPhone who wants to share your files, you might be wondering how you can transfer data between these two platforms. Nowadays, there are many different ways that you can do this. Most kinds of file types are universal and work across a variety of devices. The only question is what tools you want to use to transfer the files. Let's explore a few different ways that we can do this with various kinds of data. (1) Go to Contacts on your Android phone. (2) Tap your menu button (next to the home button, on the bottom left). 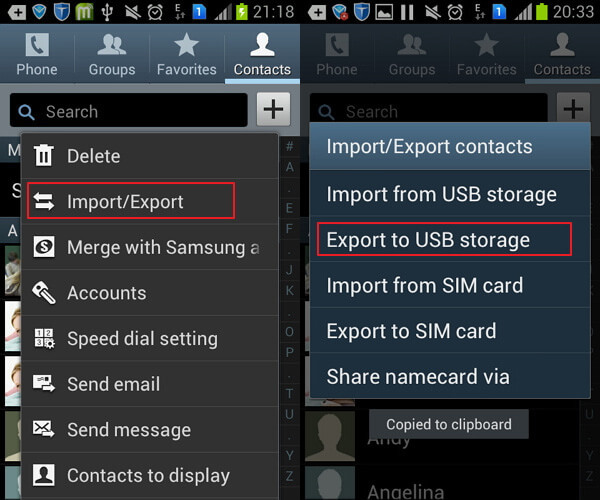 (4) Tap Export to USB storage. (5) Tap OK. Now your contacts are on your SD card and will be accessible by your computer. (6) Plug your Android phone into your computer. Look at your phone and see if it requires approval to be used as a USB drive. If so, tap to give it permission. (8) Click on your device's name and you should be able to see the files on your phone's SD card. Look for your contacts file (which should be in .vcf format) where you saved it on your SD card, then move it into a folder on your computer's hard drive. (9) Go to Gmail on your browser. 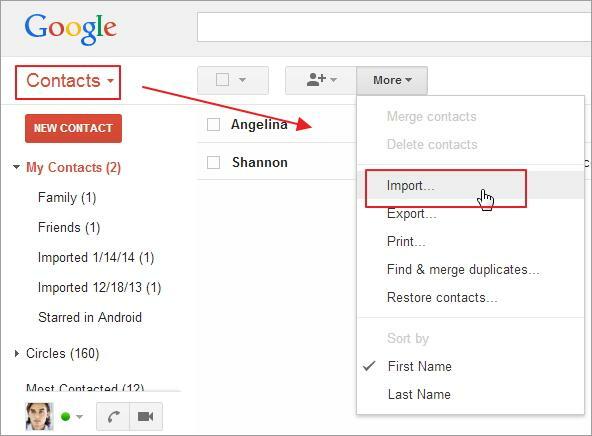 (10) Click Gmail, then Contacts. (11) Click More, then Import, then Choose File. (12) Now find where you saved the .vcf contacts file and import it. (13) Go on your iPhone and tap Settings. (14) Go to Mail, Contacts, Calendars > Add Account > Google. (15) Go down to the slider next to Contacts and turn it on. 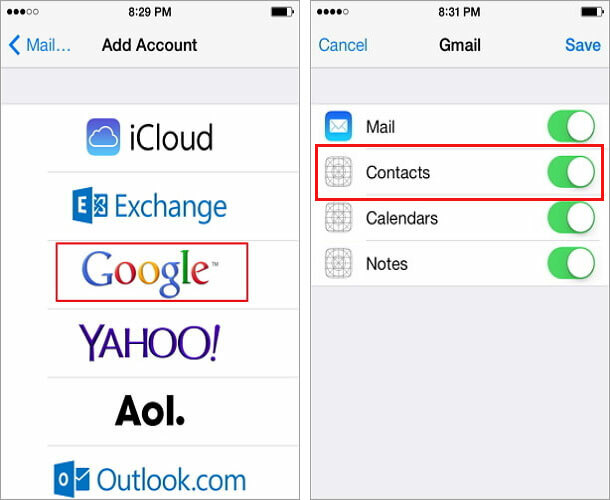 From there, your Google email account on your iPhone will automatically have your contacts. (1) On your Android Phone, go to Settings > Account & Sync. (2) Go to your Gmail account, then tap where it says Sync Calendars. (4) Go onto your iPhone and open Settings. 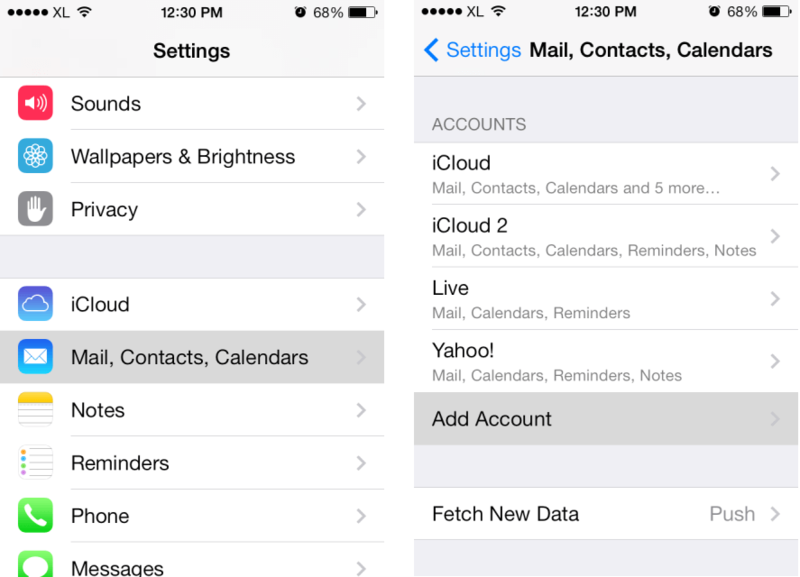 (5) Tap Mail, Contacts, Calendars > Add Account. (6) Tap Gmail, and then input your info. (7) Tap next, and then flip the sliders next to Mail, Contacts, Calendars, and Notes, into the “on” position. You can now wait for it all to sync. (1) Plug your Android into your computer and authorize it to act as a USB drive. (2) Go on the file browser on your computer and find where your music and videos are stored on your Android phone. (3) Copy these files and paste them on a folder on your computer. (4) Open up iTunes and plug your iPhone into your computer. (5) Go to File > Add Folder to Library. (6) Browse for the files you saved from your Android phone and add them to your library. (7) Click on your device. Click on the Music tab, then click Sync Music. (8) Select the music and playlists that you want to sync, then click Apply. (9) Go to the Video tab and do the same, then click Apply. After that, you music and videos should be synced with your iPhone 8/7/7 Plus/6/6s. Syncing music or video will replace the exiting library on your iPhone. Syncing music from a new library can erase all the media that was already on your iPhone. There are some music and video formats that you can't use. Is there another way, though? Yes. You can use iMyFone TunesMate instead of iTunes. iMyfone TunesMate is a device management tool that lets you transfer music and videos with much fewer restrictions. Once you transfer your Android music onto your computer, you can use TunesMate to transfer the music directly from your computer to your iPhone. Transfer files from computer to your iPhone and vice versa. 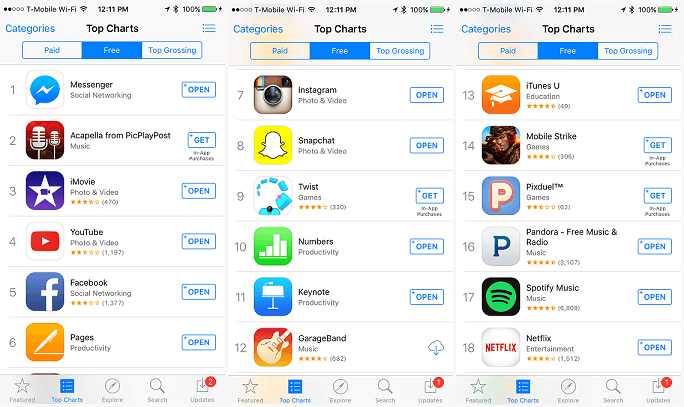 Add music to your iTunes library from unlimited iPhones. Never worry about losing data when you transfer. Transfer both purchased and non-purchased music. Automatically convert files to a format that is readable by your iPhone. Rebuild iTunes library without ever opening iTunes. Step 1: Plug your Android phone into your computer and plug in your iPhone. Step 2: Open TunesMate. Click the Music tab at the top. Click Add > Add File / Folder. Step 3: Browse the music folder on your Android phone. Choose the files and click Open. Bad news: your Android apps will not work natively on your iPhone. This is because your iPhone runs a completely different operating system (iOS) than your Android Phone (Android, a variant of Linux). Luckily, developers often make both an Android version and an iOS version of their apps. Try looking through the App store for the title of the apps that were on your old Android phone. You will probably find most of the important ones, like Facebook and so on. (1) Plug your Android phone into your computer and transfer your photos to a folder on your computer's hard drive. Unplug your Android phone. (2) Open up iTunes and plug in your iPhone. (3) Click on your device, then click the Photos tab. (4) Go to Sync Photos from [folder], and select which folder you want to sync from. (1) Make a DropBox account (if you don't have one already). (2) Install the DropBox app on your Android phone and sign in. 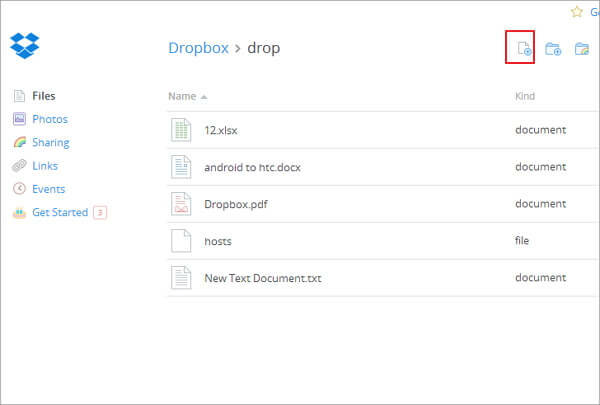 (3) Upload the desired documents to your DropBox account. (4) Install the DropBox app on your iPhone and sign in. (5) Download the documents that you uploaded from your Android phone. It's not hard to transfer your files from your Android phone to your iPhone. It simply takes a few steps and a little bit of patience. You can reduce the number of steps, though, by using tools like iMyFone TunesMate. 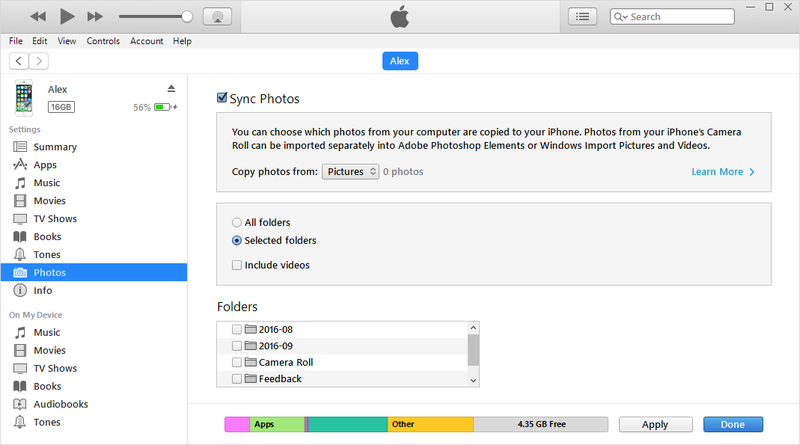 Software like this makes it easy to move music, videos, photos, and even contacts directly from your computer's hard drive to your iPhone.